Yes. A bow does seem like a perfect place to start. It is the pointy end, after all, and a lot can be determined by looking closely at the stem. 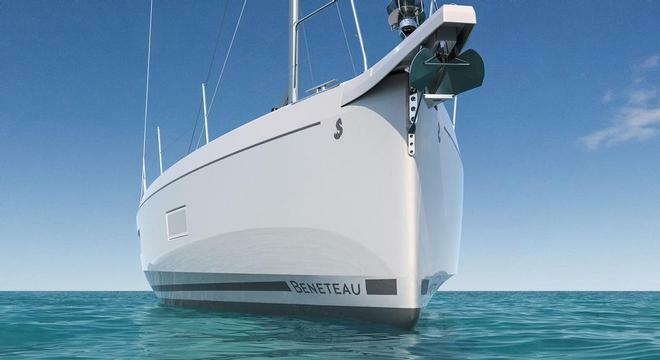 Now the bow of the new Beneteau Oceanis 51.1 by Berret Racoupeau is absolutely a case in point. It has a distinct step like a lot of fast cruising cats, and this means bigger volume and less wetted surface area for the same LOA. The chine now resides in the bow, not the stern, to set up the overall shape. A quick look at the sharp bit on both Comanche (VPLP/Verdier), and also Rambler 88 (Juan Kouyoumdjian), will show their interpretations. Of course their interest in volume has nothing to do with accommodations down below and is far more about form stability, getting the bow out and up, and not being driven around by their large tail ends. We have spoken before in these miscellaneous ramblings about the crossover, both ways mind you, between racing and cruising sailing. Lazy Jacks, once the sole preserve of cruising boats, are now totally de rigueur on some of the quickest machines on the planet. Furlers that existed only for cruisers now have homes on Volvo Ocean 65s and many more. Long prodders, which got even longer and longer, were on everything from IRC Optimised TP52s to superyachts (old and new), and now they are just as home on cruising boats, which also carry Code Zeros and A-Sails, once solely the domain of heavily crewed express boats. Back to the Oceanis 51.1 for a minute, and the racy binnacles and composite wheels (on some models) make her look very bit an ocean racer. Also, having all the running rigging heading back into the helm area, just like an Open 60, are further tips into the mindset that created these boats. Now bearing in mind the preceding paragraph, the latter is a very good thing, because it means operating the boat short-handed is going to be a dream, and possibly nearly as easy as the Dock and Go joystick is for getting in and out of your pen (slip). So if all that is a fine entry, then a fitting close would have to be lifejackets and the emergency services who come out get you. Cruisers often have some of the best on board practices because they know how vulnerable they are, and one of the best ways not to have to deal with an issue is to not be involved in it in the first place. We see a lot of material come in about people on kayaks heading out without any PFD, let alone actually wearing it. Some even do not bother to tell authorities where they are going, or that they made it back to land safely. We publish some of the material, not all, and we as a boating media group do try to actively promote safety at sea. So why talk about it here, when cruisers are not really the ones at fault? Well partially it may be just to vent, but maybe we can all do a little bit to promote active safety measures, which thereby means the very services we all rely on, should it go more than a little awry, are available immediately and not looking after more than they should. It is akin to the ambulance service being called to go and put a band-aid on someone, and that does happen! OK. Rant over. 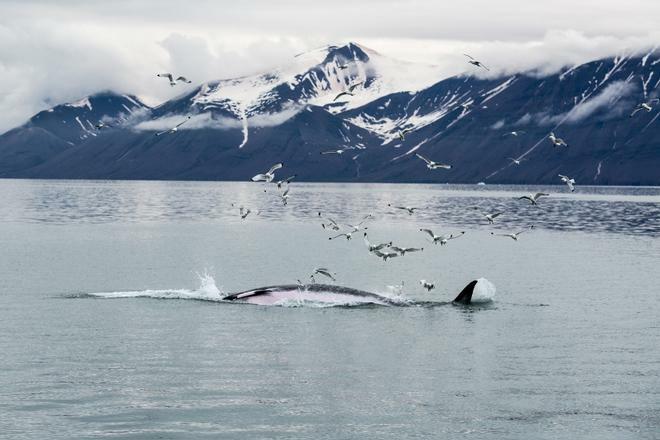 In this newsletter you will find that we have tales for you about an honest-to-goodness cruising vessel in ‘China Girl', the ARC, cruising to the Big Apple, The Bridge, extraordinary carvings, a massive Swan, Norway's Arctic regions, Tahiti, Denmark, Jon Sanders, cockpit shades, Oregon, Atlantic Crossing (and it is not a Rod Stewart album), the Fourth of July (not just a Tom Cruise film either), large cats, tall ships in Boston, as well as much more.